There are very few effective treatment options for brain cancer patients. Clinical trials like Tocagen's are critical to advance potential new therapies. However, less than 10% of brain cancer patients participate in clinical trials. We need your help both in spreading word of this clinical trial, as well as in making a donation that will go to speed up this trial! We have the power to save lives by speeding up the approval of this treatment so all brain tumor patients can have access and hope. 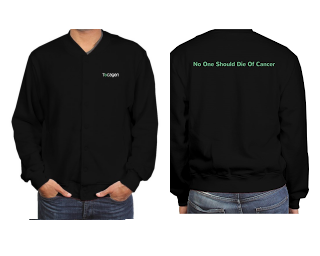 Tocagen's vision is that No One Should Die of Cancer. In support of that vision, the Musella Foundation Immunotherapy Research Fund's Tocagen Campaign aims to create awareness and raise funds in support of Tocagen's clinical trials for patients with recurrent glioblastoma or anaplastic astrocytoma. We ask for your support in getting the word out so that people who may be eligible for the Tocagen trials can consider participation in these studies. Learn more about Tocagen at www.tocagen.com or call Tocagen's patient support liaison Mary Lovely, PhD, RN at (858) 412-8473 or mlovely@tocagen.com. 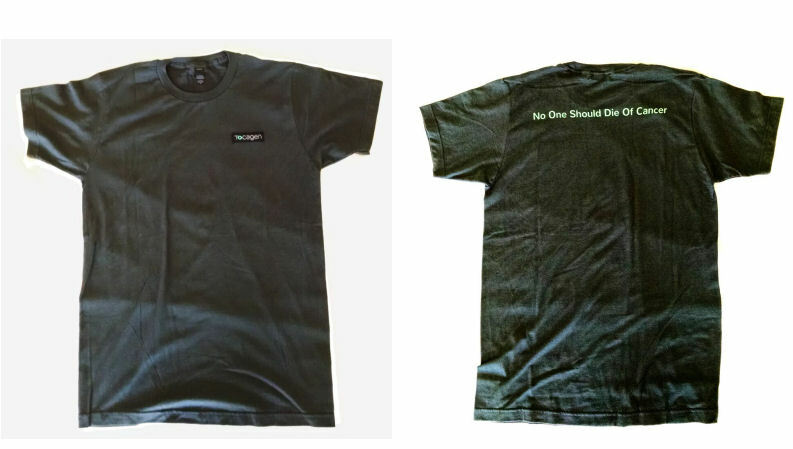 We have designed a line of exclusive clothing, which we offer as a gift for donors at different levels. We encourage you to wear it to raise awareness about the Tocagen trials and hope for patients with brain cancer. Yes, I'll Gear Up for the Battle Against Brain Cancer! You can find authentic Musella Foundation woven labels inside the collar of the jacket and t-shirt or the inside rim of the hat to be sure you have official campaign gear. If you would like to make the donation in honor of or in memory of someone, put the information in the comment below and we will send an acknowledgement to that family. 100% of the net proceeds of the money donated to this fund will go to the Musella Foundation to help fund the Tocagen clinical trials. We will send you the gear based on the amount you donate. Enter your size in the comment section below for the t-shirt or jacket! and shirt or jacket size (s/m/l/xl/xxl) if applicable! To help you spread the word, we have created Share Resources for you to get the word out. The Musella Foundation is a 501(c)(3) Nonprofit Public Charity registered in the USA and donations are tax deductible ONLY in the USA.